Bond Construction London Ltd - Builder based in Stanstead Abbotts, Hertfordshire. 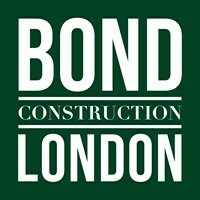 We are Bond Construction London Ltd, a construction and maintenance company operating in London and Hertfordshire. We have been trading since 2015, but have extensive experience in double and single extensions, loft conversions and Houses of Multiple Occupation (HMO's) property conversions. As well as this, we complete renovations and internal alterations. All our work is guaranteed and we are fully insured for all aspects of construction.